Thanks to our dedicated volunteer staff, every penny we receive goes directly toward saving the lives of homeless pets and placing them in loving homes. Just $5 feeds a pet in our care for one week. 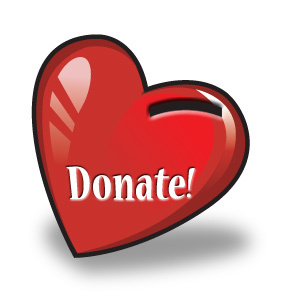 Please make a tax-deductible donation today. Pay-Pal and credit cards accepted. Did you know that Kroger will donate a portion of your grocery bill to the charity of your choice? All you have to do is open the link below and follow the instructions on how to link a charity to your Kroger Plus Card. Of course we would love for you to choose Homeless Pets Foundation. You can look us up by name or our participation number is 53687. 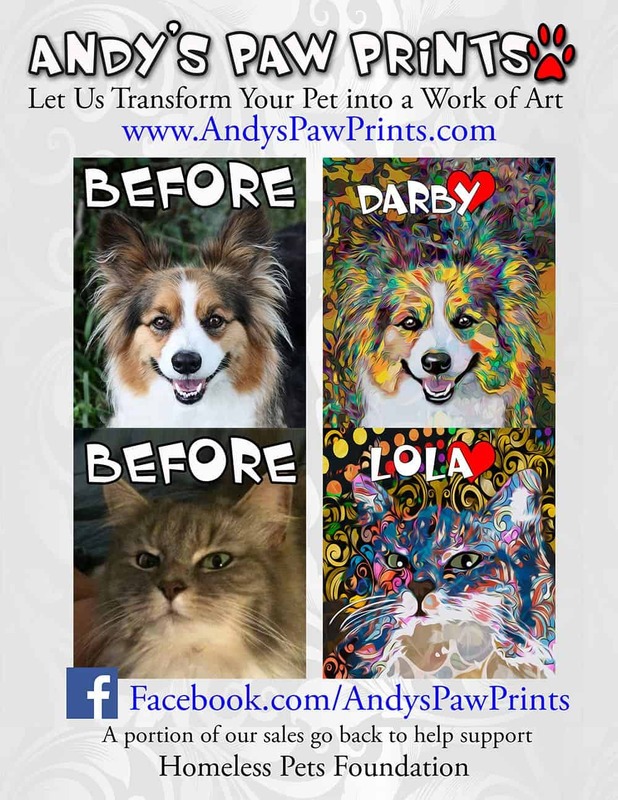 Andy’s Paw Prints transforms your favorite pet photo into a one of a kind work of art which can be purchased from their website. Once you’ve made the purchase, they turn around and will donate a percentage of the sale back to the Homeless Pets Foundation!